"Sorry these are late. Am really waiting for others"
The aren't dated and must have been sent to Italy in an envelope, unless my Aunt bought them to show her partner Gi Gi who only visited NZ a couple of times. 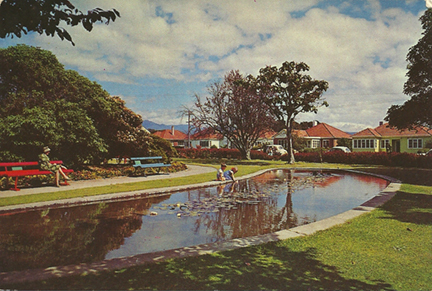 I have discovered your old postcards of Levin, N.Z. and am curious to know if I was acquainted with your Aunt in Levin. On my 80th birthday on 15 June 2019 I am launching the first book in a trilogy of my life story set in New Zealand, Indonesia and Melbourne, Australia. 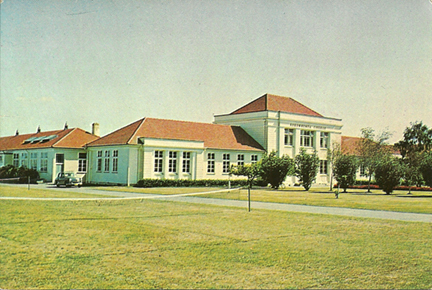 It spans five generations of my family's social history from 19939-2000.I used to play in the Levin Gardens and attended Horowhenua College from 1952-54. 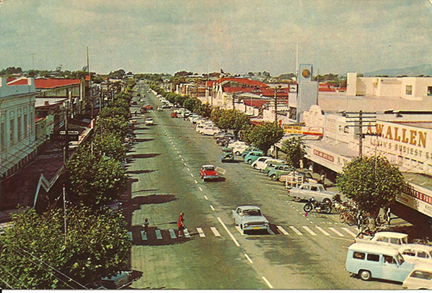 Would you be so kind as to give me permission to use the postcard of Oxford Street, Levin in my book? My paternal grandparents lived at the top left of the street. I walked and rode that street almost every day. A.W. Allen was a family friend and I went to school with his grandson, Rowan for a number of years. I now live in Perth and wish you well in all your endeavours. Beverley Ruth Clark.